Want to know exactly how to setup your first WordPress website? 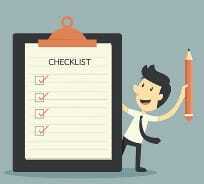 Here is a checklist of everything you need to get your site up and running and be on your way to creating a successful online business. Be sure to listen into the Podcast episode for full details. 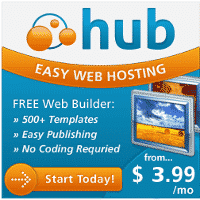 1) Sign-up for Web Hosting – I recommend Webhosting Hub for hosting. This site and all of my primary niche sites have been hosted there all along and I’ve been a very happy customer for the last 4+ years. Be sure to grab my special discount specifically for customers of the site. 2) Register Your Domain Name – I recommend that you keep your domain registration separate from your hosting account. NameCheap is my preferred domain name provider, because they offer the same great rates for both new customers/renewals and they include WhoisGuard domain privacy free for the first year. Domain privacy is only 2.88 for each year thereafter. 3) Add the New Domain Name To Your Hosting Account – To add a new domain name to your hosting account, follow the steps here for Webhosting Hub. 4) Install WordPress through the cPanel Interface – Instructions for installing WordPress can be found here for Webhosting Hub. 5) Change Permalink Structure – Permalinks control how your URLs look for your posts and pages. To get the biggest SEO benefit, go into Settings, Permalinks and select “Post name” and hit save. Your post/page URLs will them automatically contain keywords from your article title. 6) Change the Default WordPress “Admin” Account – To deter potential hackers, it is best to change the default WordPress “admin” account to something else. To do so, go into your WordPress Dashboard, Users, Add User and create a new account, selecting Administrator for the role. Be sure to choose a password that is very difficult to guess and hit save. Then, logout of the default “admin” account and login with your new account and go to Users, All Users and select the default “admin” account and remove it. 8) Install a Responsive Premium Theme – It is very important to have a theme that is supported and provides regular security and feature updates, to maintain compatibility with future WordPress versions. I recommend Elegant themes; Divi 2.0 and Nexus are two of their most popular themes. 9) Install a Child Theme – This one confuses a lot of people, but it doesn’t need to. Essentially all you are doing here is creating a separate location to hold your theme customizations and edits, so that you can update your theme in the future without losing any changes. To install a child theme, install the One Click Child Theme plugin and then follow the steps I have on a prior post here. 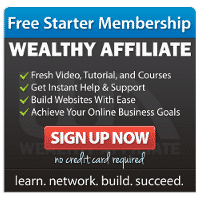 10) Sign-up For GetResponse and start building that email list right away – Your email list is one of the most important assets that you can have when it comes to your online niche sites. Be sure to make this a priority up front, you won’t regret it. My best advice is to focus on creating a very useful eGuide or PDF to provide as an incentive to get folks to sign-up for your list. Contrary to what you might think, people will not just give up their email addresses out of the kindness of their hearts, especially when you’re just starting out. Do your best to provide an insane amount of value right from the beginning and try to solve some of the key problems your audience normally encounters and the rest will begin to fall into place. These 10 steps are what I recently went through when starting a new site completely from scratch, for my wife. Do you have any steps, rituals or plugins that are must have items when creating a new website? Please drop a comment below or head on over to our Private FB Mastermind and share some details there. Thanks and best wishes for success with your new or existing online adventures!